#PutYourHeartToPaper with Hallmark this Mother’s Day! 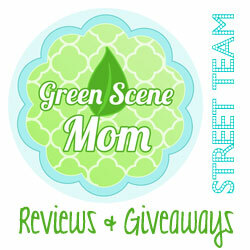 : Special Mother's Day Giveaway! You are here: Home / Giveaways / #PutYourHeartToPaper with Hallmark this Mother’s Day! #PutYourHeartToPaper with Hallmark this Mother’s Day! Special Mother's Day Giveaway! 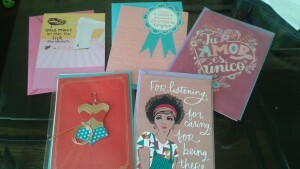 Mother’s Day is a favorite holiday of mine and my favorite greeting cards are from Hallmark. 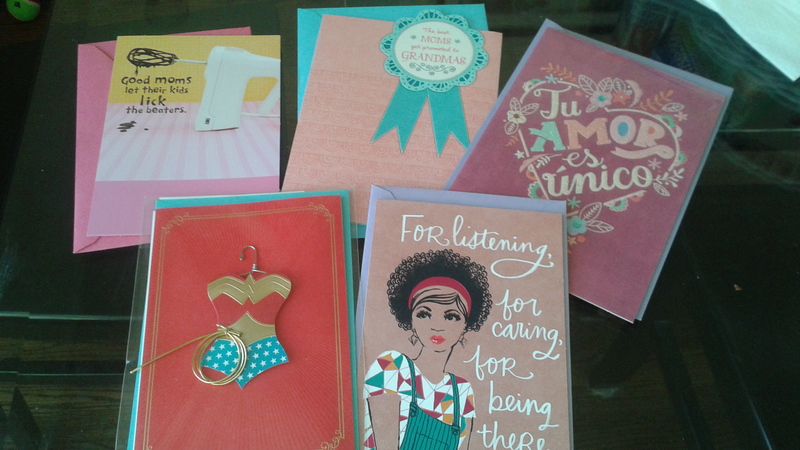 I am thrilled to be a part of the #LoveHallmark group and was thrilled to received a package of Mother’s Day Greeting Cards which included new designs from the Signature and Shoebox collections. They are just perfect for this Mother’s Day and already know which ones I am sending them too. I like that they have ones for Grandma, special Mom friends and your own Mom. They are the perfect way to #PutYourHeartToPaper this holiday! 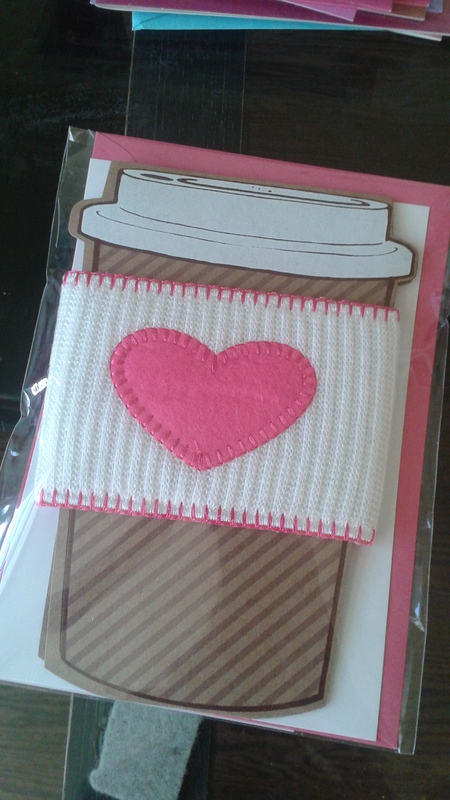 My favorite of all is this cute card with a knitted coffee cozy! Just too cute! Look for these cards at a local Hallmark store near you! We have teamed up for a special Mother’s Day Giveaway! One winner will win a 5-card pack! To enter, leave a comment below telling us what you would like this Mother’s Day! 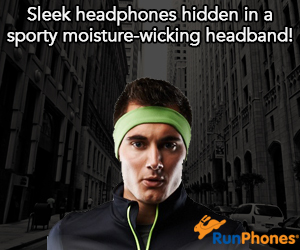 Deadline to enter is May 3, 2015 at 9 am PST. One winner will randomly be selected via Random.org. 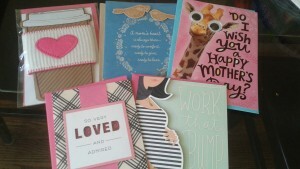 Self Disclosure: I received a 10-card pack to facilitate this Mother’s Day feature post. No other compensation was received. I’d love to win these cards. Thanks for the review and the giveaway. What cute cards!! I am hoping for breakfast in bed! 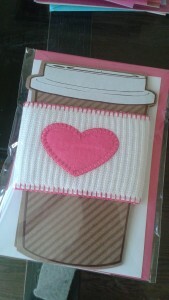 I love Hallmark cards and these look cute! I would love a spa day. I would love to go out for afternoon tea! hmmm..spa day or a beach day..
a day with my girlfriends starting with surfing! i would love to just relax and have my house cleaned for mother’s day. I would like breakfast in bed!